Aegis looks after workers rights at work in the Finance Industry where we have a recognition agreement with the employer's. We help you get the rewards, respect and recognition at work that you deserve. Visit our services page to find out about the services we offer our members. Our long term strategy is to expand but to grow carefully within the finance industry. Are you looking for new challenges and valuable training? Would you like to gain a much wider understanding of how the business really functions and help make sure your colleagues are properly represented in these challenging times? Are you willing to be involved in consultations and help us properly understand how things work in your part of the business? If so, we’d like you to consider becoming an Aegis Rep.
Learning something new is for everyone! This summer why not think about learning something different and start by refreshing your Maths and English or even learning something you have always wanted to but have never took the time to do it. Join our Team-Become a ULR! Why not join our team? Become a ULR and promote lifelong learning at your workplace and in your community. Learn with Aegis will provide you with the guidance and training to be able to assist learners on their journeys. Become a ULR and change lives through lifelong learning! Deputy General Secretary Fiona Steele shares her experience at the Glasgow Caledonian and her participation in a video project. 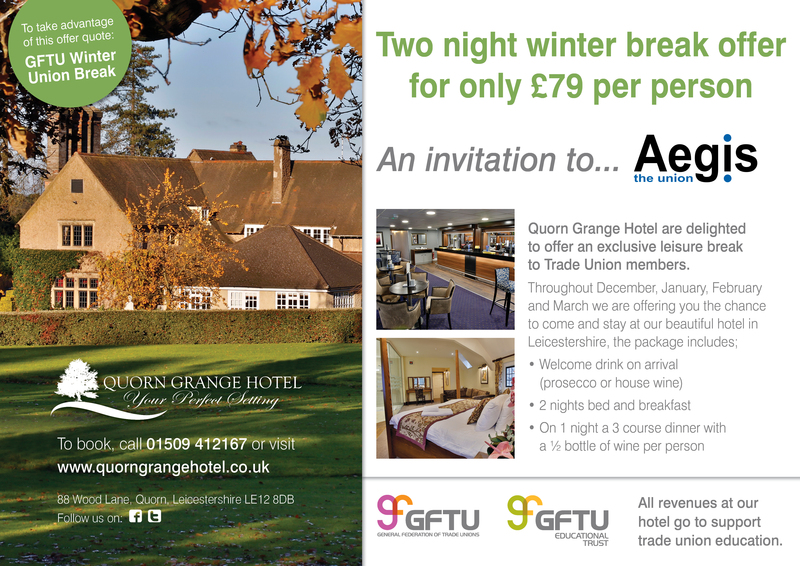 Aegis is affiliated to the TUC which has assisted us in securing funding for our Union learn project. The TUC website is an excellent resource library. Please click the logo above to view their website.